Banggai cardinalfish (Pterapogon kauderni) on a reef. 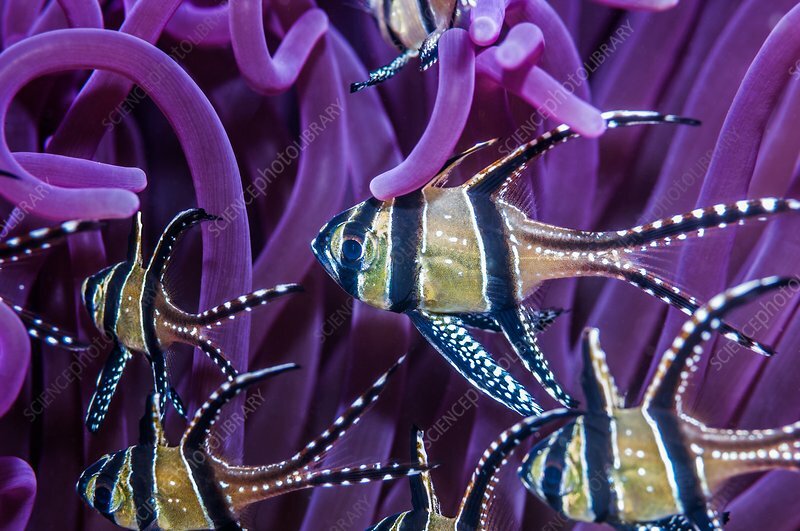 Banggai cardinalfish amongst the purple tentacles of an anemone (order Actinaria) on a reef. Until recently this tropical marine fish was found only around the Banggai Islands, but is now abundant in the Lembeh Strait. Photographed in the Lembeh Strait, North Sulawesi, Indonesia.